The second part of a MOOC created by Alice Kessler-Harris, past director of CSSD’s working group on Social Justice After the Welfare State and Professor of American History Emerita at Columbia University, was recently launched by Columbia and the Center for Women’s History at the New-York Historical Society. 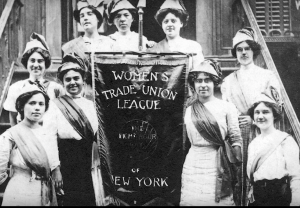 “Women Have Always Worked: The U.S. Experience 1700 – 1920” started this past fall and is available free to the public. View the MOOC here.